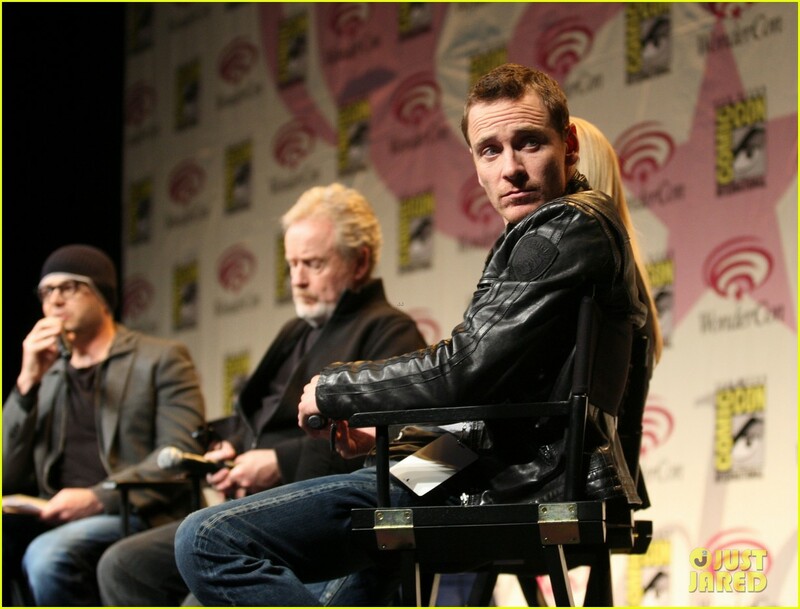 Michael Fassbender & Charlize Theron: 'Prometheus' Trailer!. Michael Fassbender & Charlize Theron: 'Prometheus' Trailer!. HD Wallpaper and background images in the Michael Fassbender club tagged: michael fassbender. This Michael Fassbender photo might contain hip boot, thigh boot, street, city scene, urban setting, and business suit.